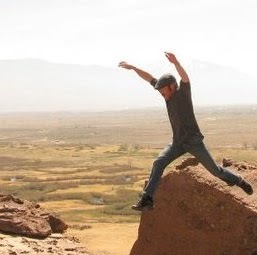 kristoforohnander: Make sure you get a high left foot before you try to move onto the slab, don't fall. Adam wouldn’t let me do this years ago, but since he’s not here... was pretty chill today. So good! scary af if you are climbing near this grade. incredible problem though. Its always the first problem of the day. Awesome highball. First boulder problem in Bishop! Kinda spooky with one pad and no spotter. Stellar line! I expected Squamish style slab at the top and was delighted to have holds. Climbed to the jug once upon a time and down climbed, so no flash! Awesome problem. Heady slab in the sun. Heavenly. First day highballs after a 24hr drive!!! Woohoo! great climbing!! a real classic. slab to a big hole/jug then a crux pullover onto a lesser slab way up high. dont take it lightly! would be a horrendous fall! OK, got it off the tick list, no need to do this thang ever again. First Bishop highball. Felt super solid, but still a bit of a spicy lock off at the top. Probably my favorite climb I did while in Bishop. So beautiful. Slab not my forte.........glad I heard the horror stories of falls after sending. Awesomely amazing. Been wanting to get on this since my first trip out here and finally got on it. Only wish it could be higher, didn't even feel that high when i topped it out. My favourite boulder. Not hard, but just perfect climbing, perfect moves. After 2 years. The purported "best V1 in the nation," which I can stand behind. Surely the best V1 in the world. Stepping out of the jug is quite exhilarating. Everyone told me to do it, I'm glad I did. A beautiful climb. worth an instant repeat it's so good. Great problem! All sorts of holds! SOOO GOOD!! Climbed this and the others to the right like 3 times. Must do!! 18 stars. I could climb this boulder problem every day for the rest of my life. An amazing line up an amazing face. Part of the appeal for me is the commitment. Once you step up into that hueco, you're going to take it to the top, or drop, but I don't see many people downclimbing it from there! First boulder in Bishop... and it was so much fun!